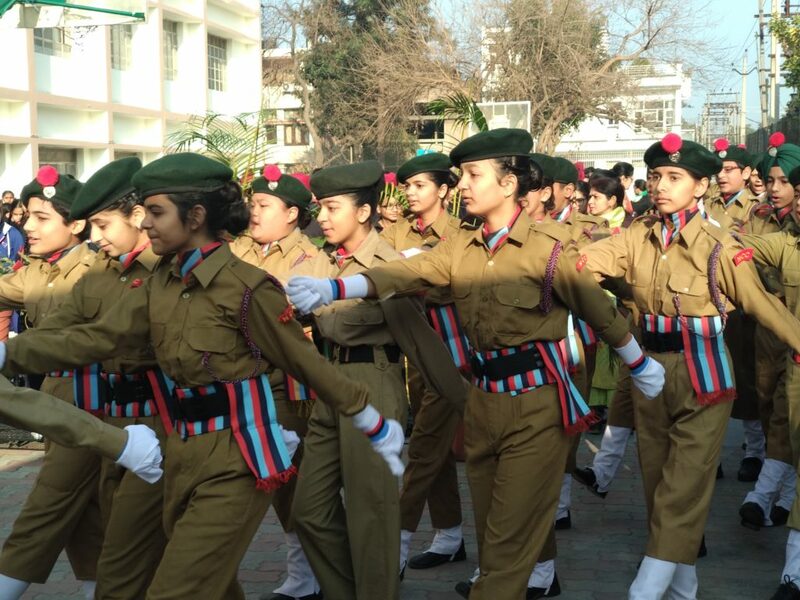 Principal Anjli Sharma along with the advisor Ms.Vinender Tiwana and Headmistress Amrit Kalsi who took the salute from the NCC contingent of the school. Every heart was pounding with saffron, white and green hues. The students took pride in glorifying and celebrating the spirit of unity. 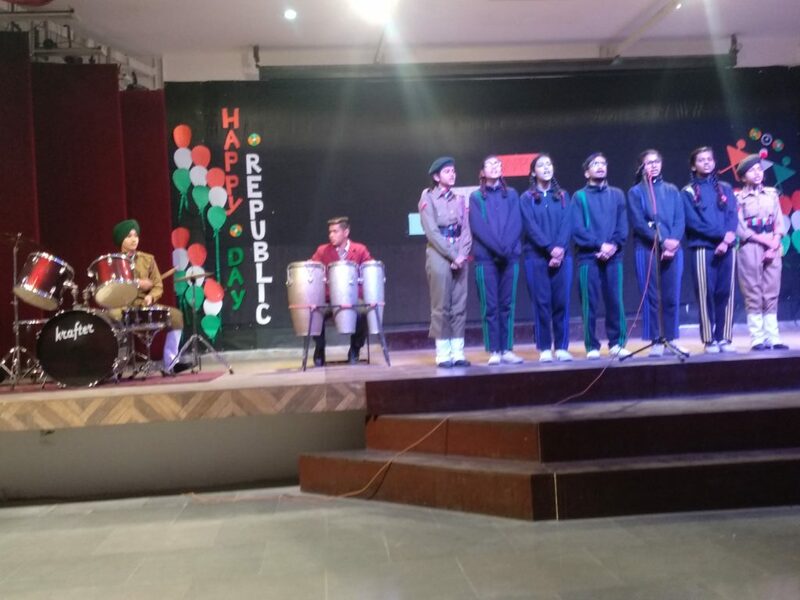 To mark the importance of this day, a special assembly under the guidance of Ms. Heena Kalia was conducted by the students of Class V-A who conveyed the significance of fundamental rights and duties in a vivid manner. 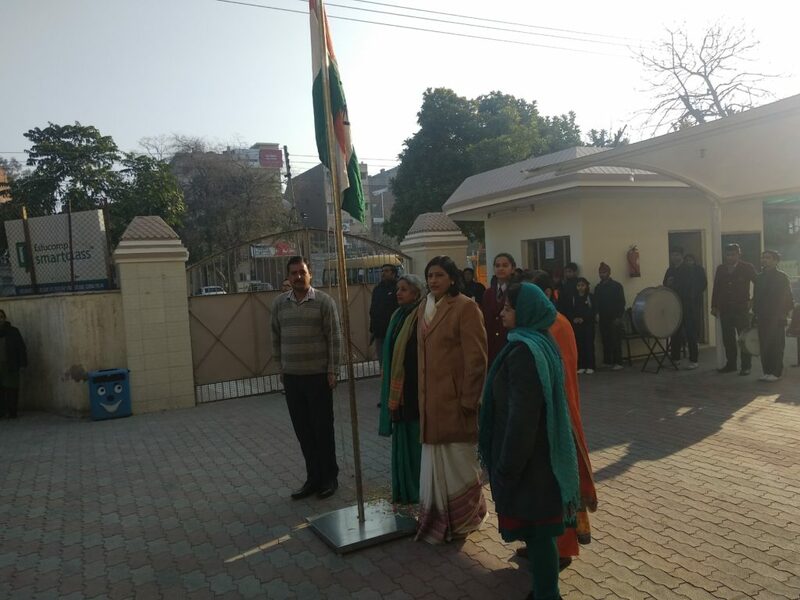 This was followed by the patriotic messages from the Chairman S. Karnail S. Brar and the Principal . 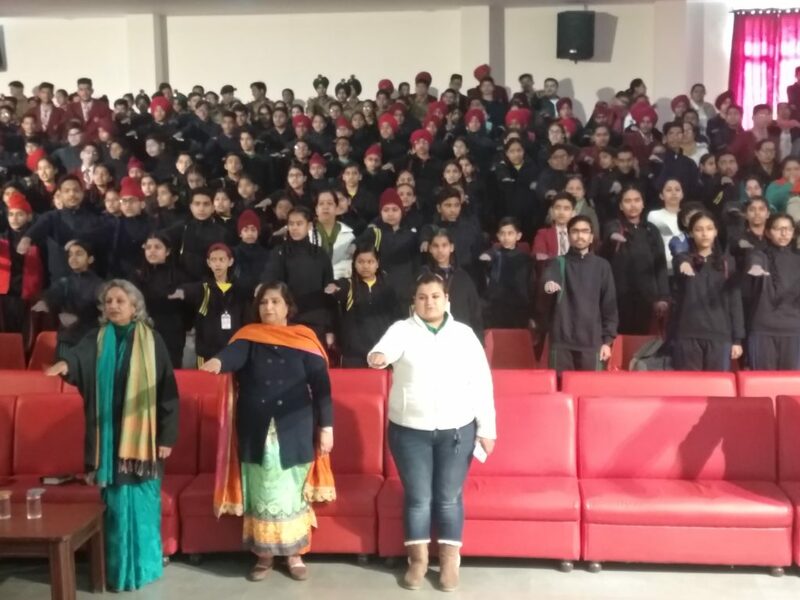 The students were made to take a pledge so as to initiate the quest of cleanliness with themselves, school , locality, society and their country. 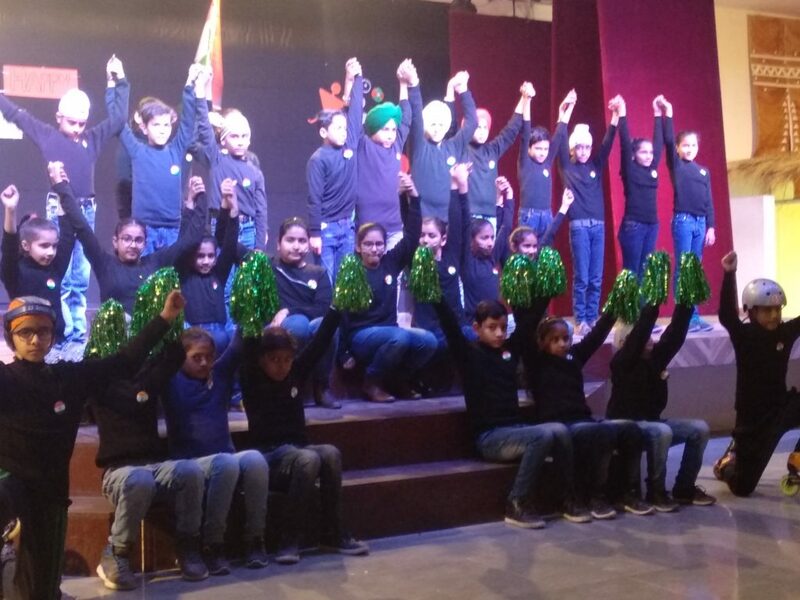 The mesmerizing dance performance by Ms. Harpreet Dubey showcased a fervent spirit of nationalism which filled every heart with the spirit of sacrifice and brought tears to the eyes of all. 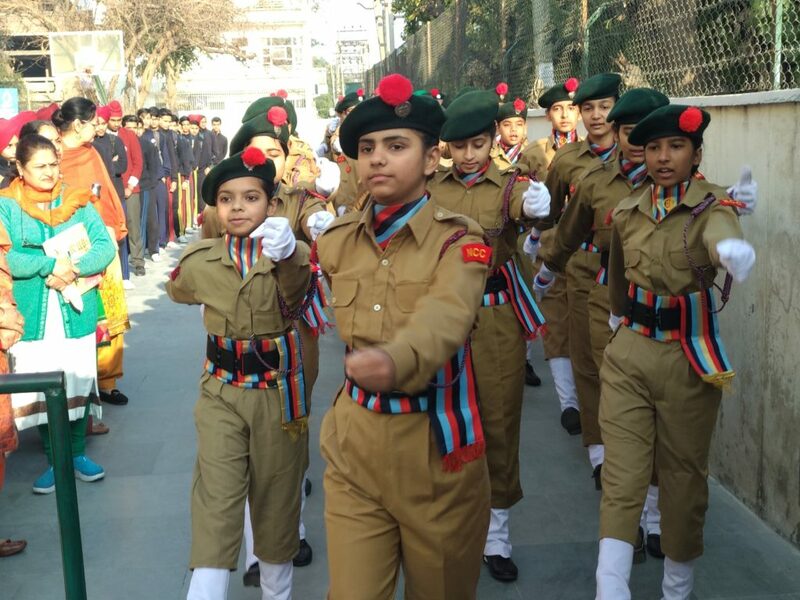 A direct telecast of Republic Day parade and celebrations from the Rajpath in Delhi was showcased to the students who witnessed South African president Cyril Ramaphosa as the chief guest along with fifty-eight tribal guests from various parts of the country, 22 tableaux of states and central government departments and performance by school children gracing the event and admiring the cultural and social heritage as well as its defence capability that was put on display during the parade at Rajpath. Sweets were distributed among the children.